Now that summer is upon us and the evenings are lighter, giving us more time during the day to run, it may be tempting to head out the door without as much thought to safety as we give in the cold, dark winter months. 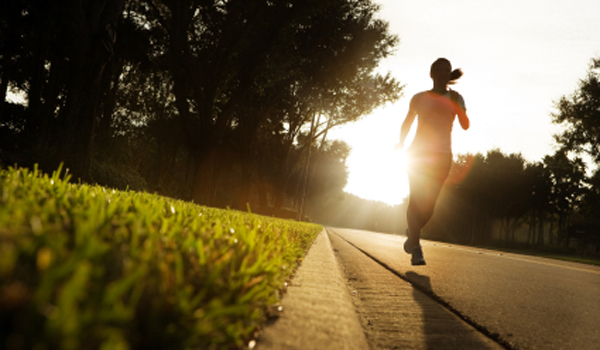 As the weather improves and there are more cars on the road and more people out and about during the day and the evenings, our safety while running is as paramount in Spring and Summer months as it is in the Autumn and Winter. One of the best ways to decrease risk to ourselves as runners, and indeed as pedestrians and general road users, is to stop and think before we head out the door for a run. I know experienced runners who throw on their trainers, make sure they’ve got their timing device or music player and off they go. Do they think that maybe they should carry some identification on them in case of accident? Sadly not. Thankfully, for the majority of runners everything goes smoothly and to plan and we get back home safely. But, what if we do have the misfortune to become involved in an accident or become ill during our run? How are the paramedics or police who get to us first going have any idea who we are or know how to contact our families? What would happen if you were knocked unconscious – you might be allergic to some form of medication, how are the paramedics going to know unless you have this marked on some ID? So I can hear you saying “it’s OK, I told someone the route I was going to take on my run today”. In truth, how many of us actually stick to the route we had in our minds when we stepped out the door? We divert down a side street or two, or fancy heading to the park instead to run and right away we have put ourselves at risk as that person at home no longer knows where we are. “But I’ve got my mobile with me” is another excuse. What good is a mobile if you’re involved in an accident and unable to use it? And if it’s locked and you are unable to remember the code to unlock it it’s of virtually no use – no-one else will be able to use it to see if you have an emergency contact. Hopefully we will avoid being in a situation where we need help but the simplest precautions could help. Always, always carry some form of ID when you go out. It doesn’t matter if you’re going out to walk/jog/run for ten minutes or for two hours – always have something on you that will assist people to get you help should you need it. Be aware of your surroundings, especially if you wear headphones – always assume that other pedestrians and moving vehicles will do what you don’t expect them to do! Wear clothes that you can be seen in, even on lighter days; you still need to be noticed.